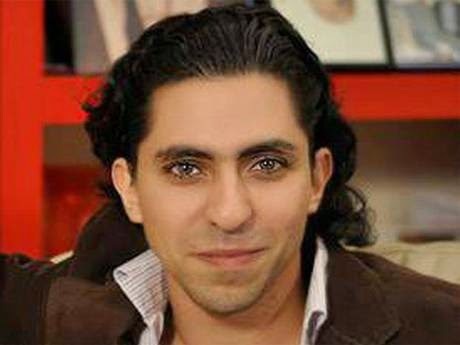 On Thursday, a Saudi blogger will receive his second flogging for 'insulting Islam'. It’s difficult to know how they can get away with it. The hypocrites that constitute Western regimes I mean. 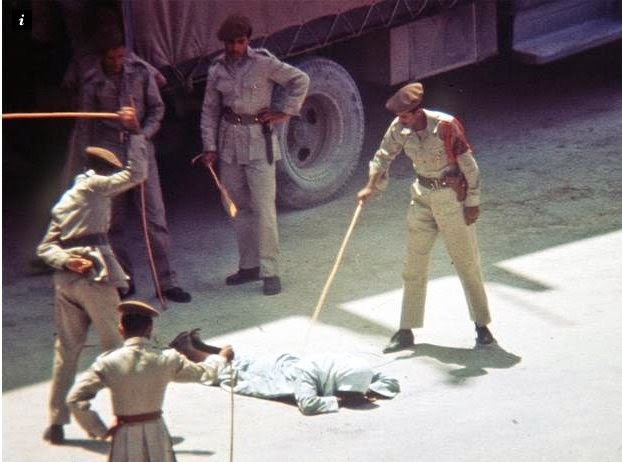 The Saudi regime is the ultimate in barbarity – there is nothing that ISIS does that they haven’t/don’t do. Which is why they funded and helped create them and the Taliban from the beginning. Flogging, beheading, mutilation – you name it they have done it. And what is the reaction of President Obama and his cretinous soul-mate Cameron? Not a word of criticism. After all there is not only Saudi oil but those nice large arms contracts that provide jobs and guarantee that Saudi wealth will be squandered. Let no one be in any doubt – there isn’t an ounce of morality in Western foreign policy. Below is an excellent article by Robert Fisk in today’s Independent. Sir William Hunter was a senior British civil servant and in 1871 published a book which warned of “fanatic swarms” of Sunni Muslims who had “murdered our subjects”, financed by “men of ample fortune”, while a majority of Muslims were being forced to decide “once and for all, whether [they] should play the part of a devoted follower of Islam” or a “peaceable subject”. Hunter identified a “hate preacher” as the cause of this “terror”, a man inspired on a visit to Arabia by an ascetic Muslim called Abdul Wahab whose violent “Wahabi” followers had formed an alliance with – you guessed it – the House of Saud. Hunter’s 140-year-old volume The Indian Musalmans – given a dusting of internet race hatred, murderous attacks by individual Sunni Muslims, cruel Wahabi-style punishments and all-too familiar proof of second-class citizenship for Muslims in a European-run state – might have been written today. Even before Hunter’s day, the Wahabis captured the holy cities of Arabia and – Isis-style – massacred their inhabitants. Like Isis, they even overran Syria. 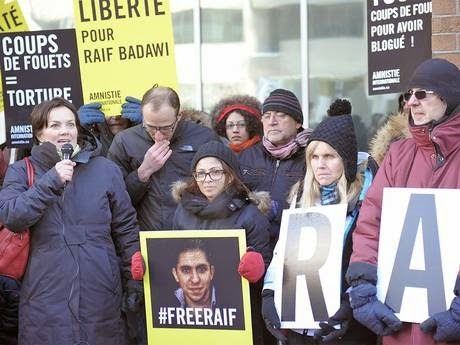 Their punishments, and those of their Saudi military supporters, make the public lashing of today’s Saudi blogger Raif Badawi appear a minor misdemeanour. Hypocrisy was a theme of Arabian as well as European history. In those days, of course, oil had no meaning. The Saudi ruler was dispatched to Constantinople in 1818 to have his head chopped off by the local superpower – the Ottoman Empire – and the European states made no complaint. A young British army captain later surveyed the destroyed Saudi capital of Diriya – close to modern-day Riyadh – with satisfaction. But successive campaigns of Saudi-Wahabi conquest, and then the swift transition of oil from the vile black naphtha, in which Arabian sheep regularly drowned, into the blood vessels of the Western world, meant that the purist Wahabi violence – which included the desecration of mosques, the destruction of ancient Muslim tombs and the murder of “infidels” – was conveniently separated from the House of Saud and ignored by Europeans and Americans alike. Erased, too, is history; including the fact that Mohamed Ibn Saud, the leader of the Nejd, even married Abdul Wahab’s daughter. Our disregard of present-day Saudi-Wahabi cruelties and venality might astonish Sir William Hunter; the Wahabi Indian Muslims in his British Empire were led by an insurrectionist prelate called Sayyid Ahmed whose followers regarded him as the next Prophet and whose own pilgrimage to Arabia turned him into a life-long purger of promiscuity. His believers came from Afghanistan as well as India where his power lay in what is now Pakistan. In fact, he was proclaimed “Commander of the Faithful” in Peshawar. His men might have been the Taliban. Britain’s wars against the Wahabis were as ferocious as Europe’s today, though far more costly in lives. And if Hunter rightly identified the second-class status, lack of employment and poor education of the Sunni Muslims of India as a cause of insurrection – France, please take note – he also understood that India’s Muslims were being asked to choose between pure Islam and Queen Victoria. The Hindus of India and the British rulers were at war with those whom Hunter, mindful of medieval Christian missions to Jerusalem, caricatured as the “Crescentaders”. 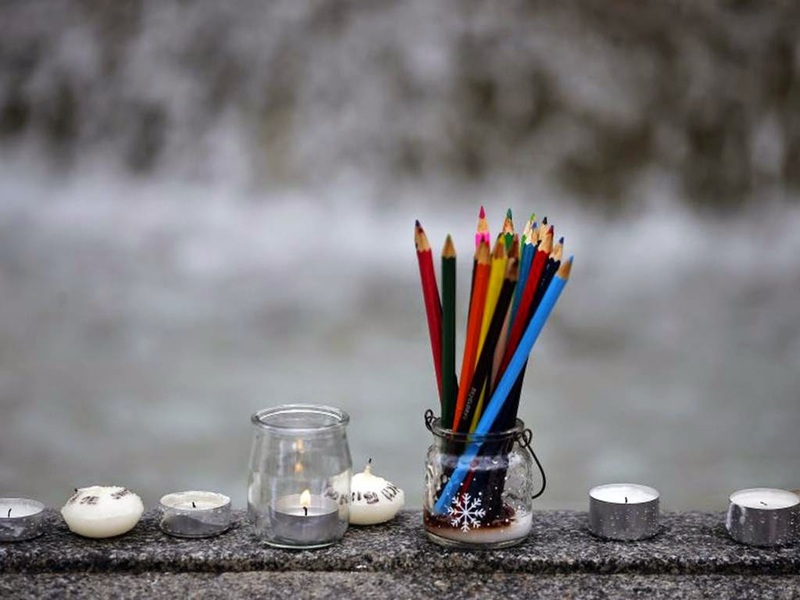 Today, the Americans and Europeans – and of course, our own Prime Minister – like to draw a line between the “moderate”, friendly, pro-Western, oil-wealthy Saudi Arabians who are praised for denouncing the “cowardly terrorist attack” in Paris, and their Crescentader Wahabi friends who behead thieves and drug dealers after grossly unfair trials, torture their Shia Muslim minorities and lash their own recalcitrant journalists. The Wahabi Saudis – for they are, of course, the same – cry crocodile tears over the murder of Charlie Hebdo cartoonists who lampoon their religion, while sympathising with the purists in Syria, Iraq and Afghanistan who slaughter journalists and aid workers, destroy ancient monuments and enslave women. All in all, a pretty pass. The Saudis are special, aren’t they? Fifteen of the 19 hijackers of 9/11 were Saudis – and George W Bush immediately arranged for leading Saudis (including some from the House of Bin Laden) to be freighted out of America to safety. Osama was himself a Saudi (later de-citizened). The Taliban were financed and armed by the Saudis; the Taliban’s Organisation for the “Promotion of Virtue and the Suppression of Vice” was identical to the Saudi-Wahabi religious police in Riyadh and Jeddah. So precious are the Saudis to us, that Tony Blair was able to close down a British police inquiry into Anglo-Saudi bribery. “National interest” was at stake. Ours, of course, not theirs. And we ignore, amid all this tomfoolery, the spread of Saudi money through the institutions of Sunni Islam in Asia, in the Balkans – take a look at the new Saudi-designed mosques that mock the wonderful old Ottoman institutions in Bosnia – and in Western Europe. Suggest that the Saudi authorities – not, of course, to be confused with their Wahabi fraternity – are supporting Isis, and journalists will be confronted not by sympathy for their oppressed colleagues, but by threatening letters from lawyers on behalf of the Saudi government. Even in the Levant, aid workers are frightened of the school-teaching in Saudi-funded refugee camps for Syrians. The Wahabi grave smashers threaten to destroy the Prophet’s tomb as a religious duty – just as they have smashed the graves of “saints” in Africa and the Middle East – but a cartoon of the Prophet is a provocation that deserves death. Sure, we all know the rubric. The Saudis stand in the forefront of the “war against terror”, arresting, torturing (though we’ll have to go softly on that one) and imprisoning “terrorists”, condemning Isis as “terrorists”, standing behind the French and the Europeans in their struggle against “terror”, along with the Egyptians and the Russians and the Pakistanis and all those other “democrats” in their “war against terror”. Speak not a word about the Kingdom as a Wahabi-Saudi regime. It would be wrong to do so. After all, the Wahabis don’t call themselves Wahabis, since they are “true” Muslims. Which is what the Saudis are, aren’t they?